Fleetwood Mac will release an expanded reissue of their 1979 double album, “Tusk”, on December 4. 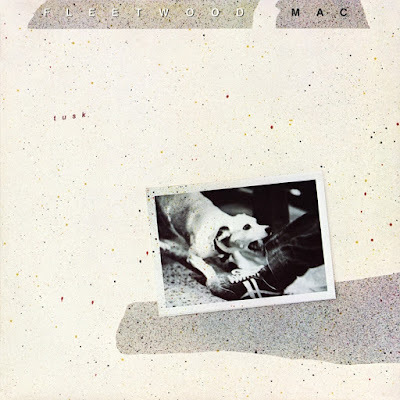 Now, Fleetwood Mac revisits “Tusk” with a 5CD/1DVD/2 LP Deluxe Edition featuring the remastered original album and a complete alternate version from session outtakes, as well as an additional selection of singles, demos and remixes, and 22 unreleased live performances from the band’s 1979 Tusk tour; a 5.1 surround mix on DVD-Audio and vinyl of the original album on 2-LPs rounds out the set. A 3CD Expanded Edition presents the same elements as the Deluxe Edition without the 2-discs of live material, while a 1-disc remastered version will also be available. Fleetwood Mac are currently playing dates in Australia as part of The On With The Show Tour, which sees the return of keyboardist Christine McVie to create a reunion of the group’s hugely successful mid-1970s lineup.